Rhythm and Vines prides itself on being one of the safest places in the world to celebrate the New Year’s. However, as with any community, there will always be situations that require processes in place to deal with not-so-ideal scenarios. This year, there is even more emphasis on ensuring our customers feel safe at Rhythm and Vines, and should they not, ensuring they know what to do and where to go. Behind the Vines sent through some questions to our Event Manager Dan Turner to update us on what to expect this year in terms of customer safety and wellness. Hey Dan. How long have you been working for Rhythm and Vines? I’ve been the Event Manager for the past 4 years, having be a part of the festival since 2010. Over the year’s, have you seen major improvements in festival safety at Rhythm and Vines? Yes - of course. The H&S at Work Act revolutionised what we do in the build and behind the scenes, but general Health and Safety for all involved with R&V is paramount. From staff setting up in the months leading up, to customer welfare during the four days of the event. With the acquisition of Live Nation into R&V, we have been able to tap into resources previously not available. World leading practices and processes that are proven at other large scale festivals and events are able to be adopted and applied at the festival here. What has been some of your focuses this year in regards to festival safety? One of our main focuses this year is patron welfare and wellness. We want people to feel safe, and as a team we have been collaborating regularly on how we can bring this vibe to R&V. The Festival is an inclusive environment where people should be allowed to express themselves. Yes it is a party, and people will do what they do to celebrate and have a good time - but they must feel comfortable doing so. We have 20,000 attendees - that is potentially 40,000 parents who rely on us to look after their loved ones for 4 days, and our team are focussed on ensuring all those that attend enjoy the party that is Rhythm & Vines. We will look to equip our customers with the knowledge on where to go and what to do should they be in trouble, or simply need some time out. 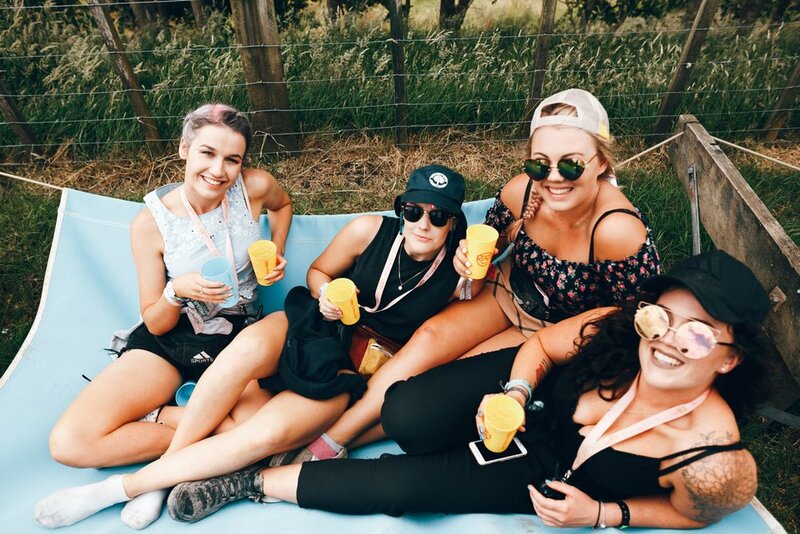 In the interest of making Rhythm & Vines as safe as possible, we’re introducing the Wellness Zone - a calm and comfortable sanctuary, with health foods and activities available for those who want to escape the madness. There will be multiple areas to relax with some chill tunes, outdoor games, and an opportunity to try out some wellness activities such as yoga, mindfulness, and express facials or massages. In addition to the Wellness Zone, R&V will be adding a private women’s only space that’s tucked away at the back of the Wellness tent. Entry to the Women’s area will be through the Wellness tent, which will involve a comfortable seating area with calming visuals and music, along with a reception area providing complimentary infused water, bliss balls and kombucha available to purchase. This is a safe space for vulnerable women to go to if an incident has occurred, or if they just want some space. The Women’s area will have trained volunteers as a source of support for festival go-ers who need private space, to talk or just generally to feel supported in a break-out space. The volunteers will also be available to everyone in the Wellness tent. Surrounding both of these tents will be an outside area with giant wooden games, seating, avocado on toast available to purchase from 8am-12pm and daily yoga at 12:30pm and 2:30pm. The hours of these areas are 8am-1am daily and throughout the whole night of the 31st. We’re all about balance at Rhythm & Vines. We have some super cruisy, super lush gentle dusty yoga to get you bouncing back into the froth. Perfect for first timers, no mat needed - just show up! Come get amongst some healing bliss. At the festival a Text helpline will be made available to customers at the festival so that they can reach out to festival operations if requiring assistance.